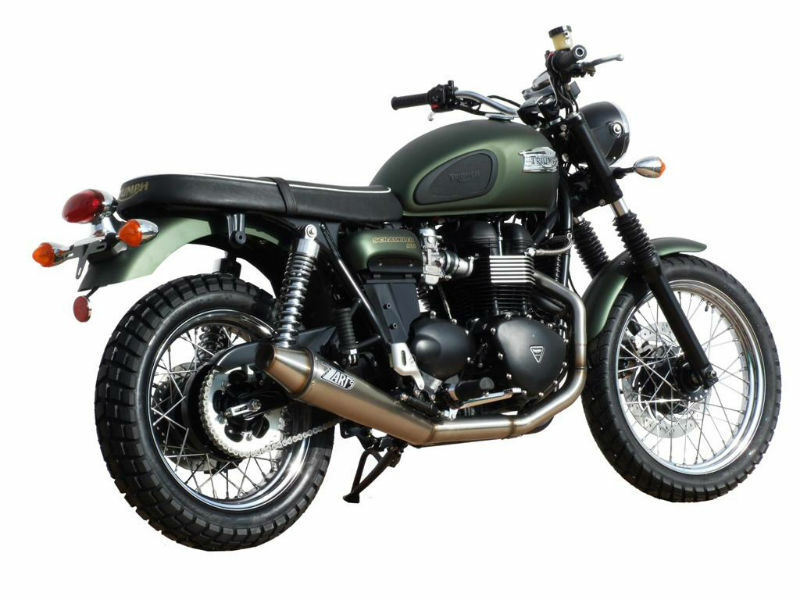 Triumph Scrambler is an attractive commuter bike with comfortable features and better performance which has the power to make every rider go mad about it. Read the review to explore the features, technical specifications & price. 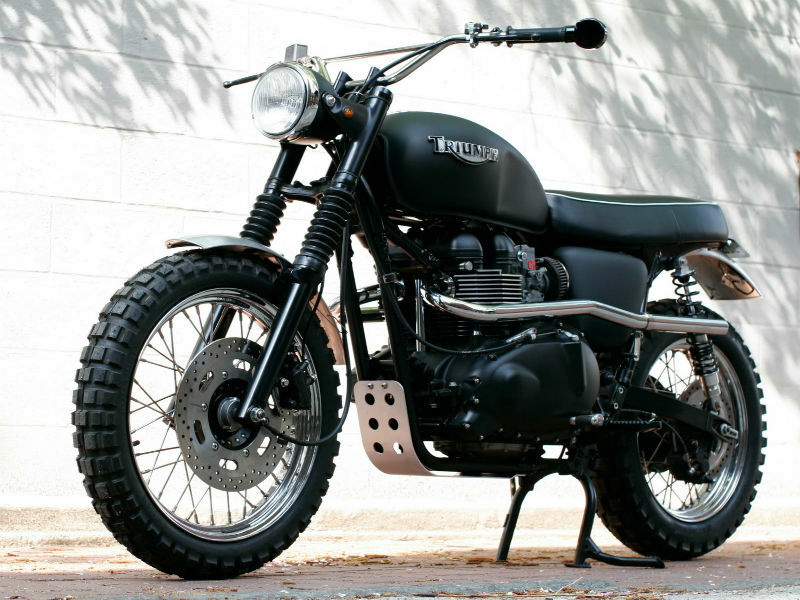 When it comes to design, Triumph Scrambler is a timeless classic. Although it follows the ancient looks, it still looks appealing to the crowd and this is the best part about it. Years pass and the fashion changes but the appearance of this is carried very well. Scrambler follows its old style but is continuously restructured technically to prove itself best in road. 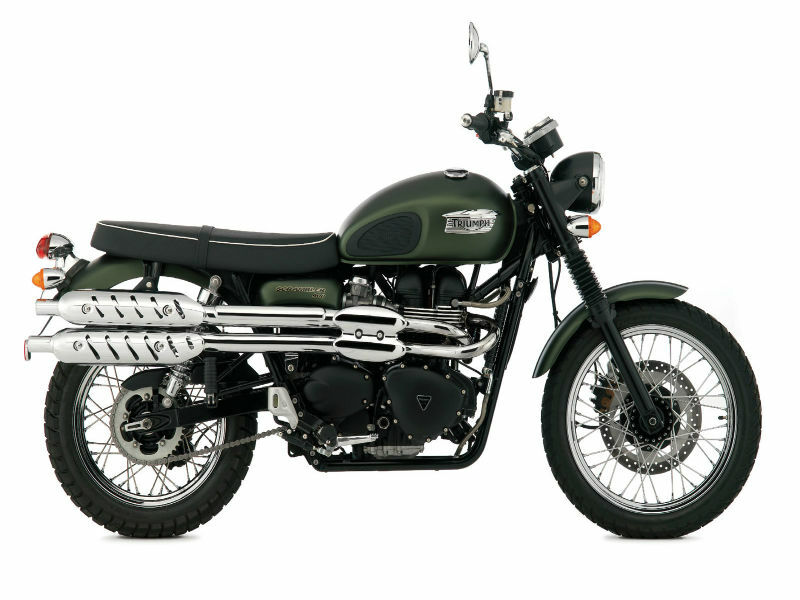 Triumph Scrambler is powered by efficient air cooled, DOHC, parallel twin, 270° firing interval, 865 cc engine. The maximum power obtained from this is about 43 kW at 6800rpm and the highest possible torque is about 68 Nm at 4750rpm. The power so generated reaches its wheels through 5 speed gearbox. The old day design of the bike along with revived features adds more and more value to it. Glancing through the simple yet classy bodyworks of the motorcycles everyone fall in love with it. Attractive items of the motorbike such as headlamp grill, instrument panel, fork gaiters and trendy exhaust pipe enhance the popularity of the vehicle. Further when it comes to comfort the bike is simply amazing and sure to bring smile on the face of every rider. The charisma of the bike is not just limited to its looks but is also extended to its advanced technology. The riding and handling of the bike is very much depend on the suspension including the front Kayaba 41 mm forks and rear Kayaba chromed spin twin shock which provide smooth journey. Further the disc brakes of Scrambler assure more control to the rider. The bike gives the mileage of about 25 to 30 kmpl under various driving condition. The ex-showroom price of yet to be released Triumph Scrambler is expected to be close to Rs. 9,00,000.